Wherever you work, from construction to a desk job, you expect to be in safe conditions. Sometimes accidents happen, and sometimes your employer puts you in danger because of negligence. In any case, there might be a time where you experience a workplace injury. The event can be startling, stressful and sometimes scary. To protect yourself, your finances and your future if you experience a serious injury at work, take the following steps. These symptoms may be signs of an injury that is very serious and that requires medical attention, and that may cause life-long issues if gone untreated. 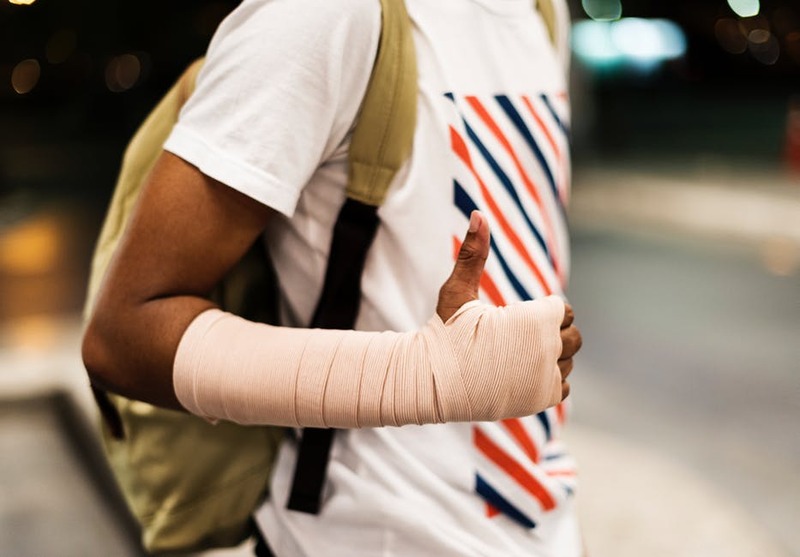 If you fail to tell your employer about an accident or injury that seems minor, it may be harder to prove a claim that your injury was work-related. When you report your injury, take note of anything at work that may have contributed to your accident. Were you put in unsafe conditions? Did your employer neglect to take care of a dangerous factor that contributed to the accident? Did you receive proper training for the job you were asked to do? Note that in the report and in your own records. As mentioned, many symptoms of serious injury may not be immediately apparent. If you need emergency services to take you to the hospital, go. Otherwise, go to the doctor your employer recommends for your first visit. After the first visit, you’ll be able to choose your own doctor. You and the physician can complete a Worker’s and Physician’s Report of Injury, which the doctor can then submit to the Industrial Commission of Arizona (ICA) for you. Alternatively, you can file the claim on your own, and you must do so within a year of the injury. Both you (or your physician) and your employer will then need to report your injury or illness to the ICA. You employer will also report the injury to the employer’s workers’ compensation insurance provider. Under Arizona law, all employers must secure workers’ compensation insurance for employees. 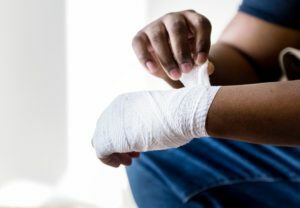 Workers’ compensation is a “no fault” system, meaning the injured employee is entitled to receive insurance compensation regardless of who or what caused the job-related accident. Some employees may worry about telling their supervisor about an accident, especially if the worker was the cause of the accident. However, because Arizona workers’ compensation is a no fault system, it’s better to give all details to an employer and receive benefits. Not doing so will make it harder for you to get compensation. And in some cases, you may think you were the cause of an accident that was really caused by your employer’s negligence. Do not hesitate to talk to your employer about what happened, and quickly. Workers’ compensation covers medical coverage cost, as well as payments for wages missed from work and permanent disabilities. “Lost time benefits” are provided if you are unable to work for more than one week, which must be certified by your physician. You will receive two-thirds of your monthly income, that which was set before you were injured. The maximum monthly benefit you can receive is $4,521.92 per month. When your doctor deems you ready to work again, you will receive a Notice of Claim Status letter from the workers’ compensation insurance company. If your work is impacted — for example, you are only able to do modified work or can’t work full-time — and you are then earning less than what you were before the injury, you will continue to receive time lost benefits at two-thirds of the difference in your earnings. If you have been permanently injured, you will receive disability benefits. The amount depends on factors including age, work history, education and earning capacity. There are several reasons why your workers’ compensation journey might not end with the benefits you receive. If you want to protest the amount you received, you can request a hearing from the ICA within 90 days of receiving compensation. In other cases, a third party such as a defective product manufacturer or the negligence of a contractor at work may be to blame. These are also examples where filing a lawsuit against the negligent party may make sense. After an accident, it’s important not to admit fault and to keep proper documentation and organized medical records in case you do decide to file a claim. You can talk with a Phoenix personal injury lawyer for a free consultation, so you understand your rights and stay protected after a workplace injury.